Two new Huawei watches appear to be on the way under the name Huawei Watch GT. 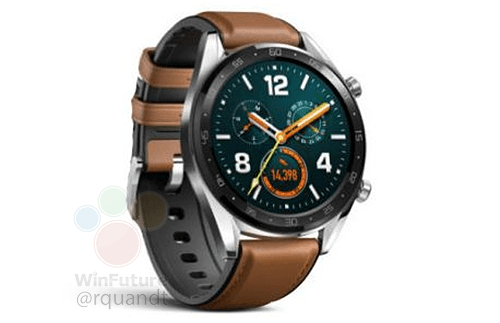 If a new report is correct, Huawei could show off a Huawei Watch GT Classic, as well as a GT Sport, in the coming weeks alongside the Mate 20. An image of the Huawei Watch GT Classic can be seen below with silver and black colorway. The GT Sport is said to feature a similar design with an all-black body. Both watches will feature two pushers on the right side of their cases, similar to the Huawei Watch 2. According to today’s report on the new Huawei Watch, we could see waterproofing, sport modes, GPS, NFC, and a 420mAh battery that could last up to 14 days. With that kind of battery life, one has to imagine this watch (assuming it’s running Wear OS) will feature the new Snapdragon Wear 3100. Qualcomm’s new chip is all about extended battery life through new modes that utilize its low-power co-processor. 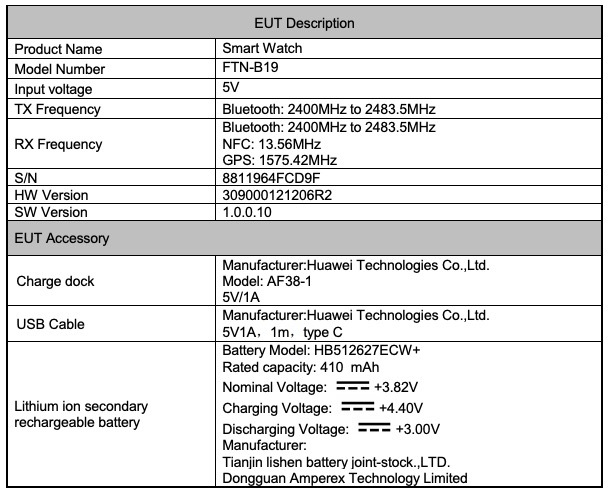 Throwing a bit of confusion into the mix is a new Huawei smartwatch that stopped at the FCC a week ago. It doesn’t appear to be running Wear OS, but does have NFC and GPS, as well as a 410mAh battery. 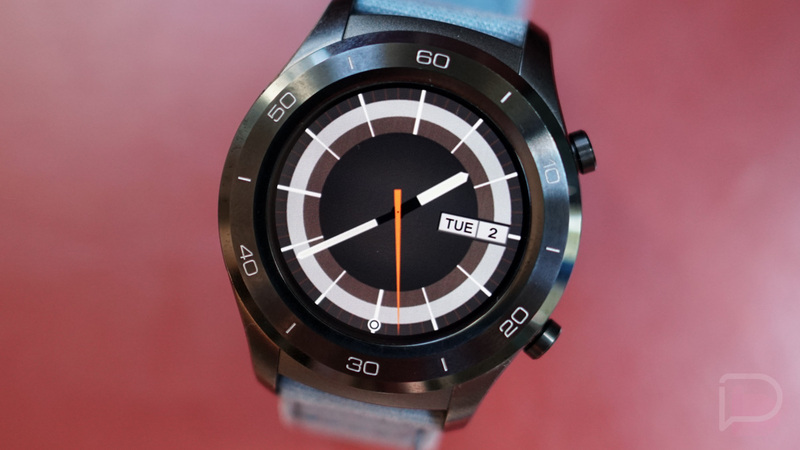 It looks more like a dedicated fitness watch from Huawei that possibly runs a proprietary OS, like their Huawei Fit. These new Huawei Watch GT devices are said to cost around 200 to 229 euros. If the watch above is the Huawei Watch GT Classic and runs Wear OS, you interested?